SATURDAY 4TH MAY 2019 at 2.00p.m. SUNDAY 5TH MAY 2019 at 10.00 a.m. In the 1840s and 1850s there were grand plans for the Heidelberg District to become the fruit and vegetable hub for Melbourne. Large estates were divided into smaller tenant farms. Fruit trees and market gardens abounded along the Yarra River contours. Farm labourers lived in cottages in Heidelberg, and the village blacksmith was an integral part of an agriculture-focused community. All this came to a sudden halt with a string of four disastrous floods in 1863 and 1864. The land along the river flats was turned over to cattle and dairy industries instead. Paddocks were replaced by hay crops, and the market gardens in the sandbelt suburbs and Werribee became more prominent than Heidelberg. Planting in Heidelberg took a different direction including nursery planting, domestic planting, Chinese market gardens, commemorative and civic planting, rehabilitation planting and more recently, community planting. This exhibition celebrates these different types of planting in the Heidelberg District from the 1840s through to today. We have displays of historical photographs, objects relevant to farming in the Heidelberg district, documents, maps and many other illustrations. To see the exhibition, the Heidelberg Courthouse Museum is open to the general public on Sunday afternoons between 2pm and 5pm. Cost of entry is $5 for adults. Special showings can be arranged for groups by contacting the museum either by phone on 9455 2130 or by email, heidelberg.historical.society@gmail.com. Type a word in the white box and click on "search". You will be linked to all the places that word appears in the website. Heidelberg Historical Society was formed in 1967. Since then, we have developed a substantial collection of photographs, objects, maps, documents, works of art and other items that help to tell the story of Heidelberg and its surrounding localities. Visit our Museum or contact us by email etc to find out what we can offer you. We always welcome those interested in joining our Society as well as members of the public who wish to research the materials we hold in our museum. Our museum is located in the old Heidelberg Court House, Jika Street, Heidelberg, next door to the Heidelberg Police Station. Opening hours are 2PM to 5PM on Sundays. Entry charge is $5 per person. We have a large collection of photographs, maps, newspapers and other documents, books, art works, costumes and other items relevant to the history of this area. Visitors are welcome to research our collections. Anyone interested in local history can become a member. We welcome people who can assist us to staff the museum on open days and help us to keep our collections up to date and in good condition. Donations are always welcome to assist us in maintaining the museum. 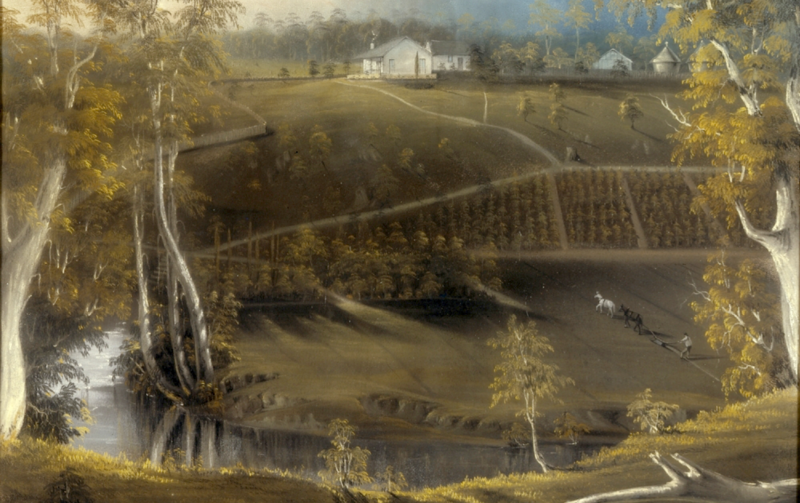 Following the 1838 government land sales, which were held in Sydney, "Heidelberg" was the name used by some people for the district rather than the current Heidelberg suburb. It appears that land owner R.H. Browne called his farm "Heidelberg". It was Portion 6 in the 1838 land sale. It's southern border was the Yarra River, including the later named Sill's Bend and Fanning's Bend. The vast majority of his land was way to the north of the township. Its northern boundary line intersected the current Lower Plenty Road. To the east it did not reach the Plenty River, and to the west it was some way back from the current line of Rosanna Road. By the 2000s, the land was to be partly Viewbank, partly Rosanna and partly Heidelberg. Like most of the 1838 purchasers, including Thomas Walker, R. H. Browne was looking for a quick profit. He did not keep his "Heidelberg" for long. "HEIDELBERG, July 26 (1839). Portions of land on the Darrebin River (sic) with right of road to the Yarra Yarra..." was part of an advertisement he placed in the "Port Phillip Patriot" on 29 July 1839. He was still around later in the year as an advertisement in the Port Phillip Gazette, 14 December, 1839, still refers to him as "R. H. Browne Esq. of Heidelberg." The Sydney Monitor and Commercial Advertiser, Monday 9 March 1840, page 3, refers to "Heidelberg, the estate of R. H. Browne". For whatever reason occurred to him, he called his farm "Heidelberg" and the district came to be called "Heidelberg." We do not know whether or not he spent time at the German University town of that name. By mid 1843, he had sold the last sub-division of it. In our museum, which is the former Heidelberg Courthouse, we have a collection of bound Victorian Government Gazettes in a number of volumes. The first few volumes have "Warringal" on the spine. From the 1860s onwards, it changes to "Heidelberg". The township was called Warringal until the 1860s. At different times, the Shire/City of Heidelberg included Fairfield and Alphington to the south and went as far north as Hurstbridge. Our area of interest therefore covers areas included in municipalities under the name of Heidelberg at that time in our history. 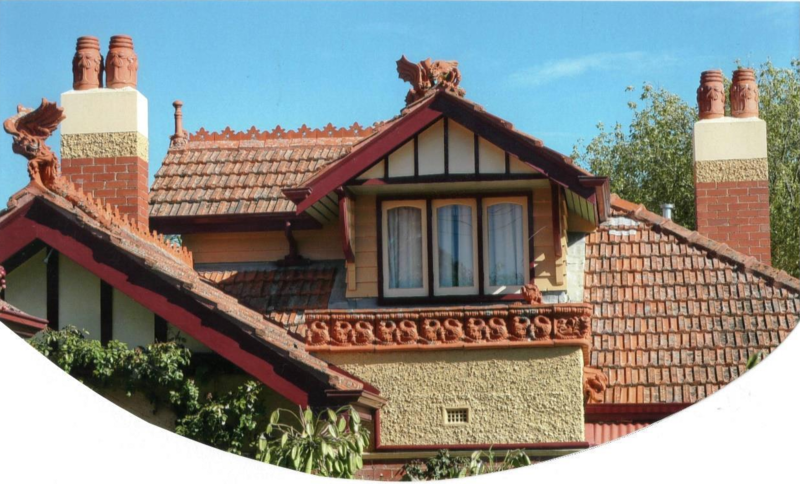 Since the demise of the City of Heidelberg in the 1990s, our subsequent interest is in the areas covered by the City of Banyule. Places of interest to Heidelberg Historical Society. Around 1900, a hot air balloon landed on Mt Eagle, attracting the interest of local residents. Upper Heidelberg Road, Ivanhoe,1920s. This continues to be a major shopping precinct. Yallambie is an historically important house, built in the 1870s, in Italianate style. It is also the name of the suburb. The Treyvaud family lived in "Moora", 198 Upper Heidelberg Road, West Heidelberg, during the 1920s. Aldermaston, located in Watsonia Barracks, was built for Dr Ainslie Meares in the 1930s and requisitioned by the Austrtalian Army during World War II. Mount Street and Yarra Street interesection, Heidelberg, near the railway station. Area of car and bus park near station. View of Viewbank in the 1950s, before the development of suburban housing. Looking south from Lyon Street. An overhead view of the Australian Paper Manufacturers at Alphington in 1936. The larger view shows the railway, the road bridge, later called the Chandler Highway Bridge, and some of the older houses that were swallowed up by the large factory. Fairfield Railway Station was called Fairfield Park in earlier years. It was from there that the railway junction to the APM was managed. "Moorawatha", 3 Wilmot Street, Macleod was buit in 1908. By 1981 Rosanna had become a busy and fast growing residential suburb. The site of the famous Golf Course was now a park and a housing estate. This older Greensborough house, photographed in 1958, was formerly the home of the Partington family.